Bus Appraisal Solutions, LLC (BASLLC) is a dedicated group of professionals that have spent their entire careers working in all aspects of the bus, coach, and transportation industry. 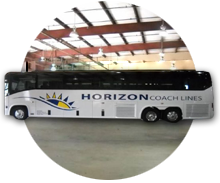 Unlike other appraisal firms, our only discipline for the last three decades has been the intense study of the bus and coach market. When hiring an appraisal firm, it is important that you hire a company that has the depth and knowledge of the market, the assets, and the environment in which the assets are used to provide meaningful assessments of how the assets in question are being cared for and preserved. They also must possess the ability to clearly communicate the findings in a meaningful way for lenders, insurance companies, and potential buyers or investors to understand and utilize the information that is provided to them. Over 30 years ago, (BASLLC) developed complex and accurate modeling processes which are still being developed today. These processes are detailed and take into account the current condition of the vehicle; regional sale ready cost; current and real-world market analysis to reach accurate Retail, Fair Market and Order Liquidation Values. Because our sister company, Bus Solutions, LLC publishes The Official Bus Blue Book™ and The Official School Bus Blue Book™, our appraisal customers get the benefit from the extensive market data that does not exist anywhere else. Any way you look at it, thirty (30) years of market data is powerful and our customers directly benefit from that wealth of knowledge. Each year, BAS supplies many of the top bus operators in North America with an annual bus appraisal. Operators use their annual appraisals for many reasons including but not limited to, lending and insurance negotiations, finding hidden equity, documenting condition and value in case of a loss. Now is the time to call and schedule your year-end appraisal. Chances are one of our inspection teams may be traveling to an area near you which will save you even more money on travel time and expenses. Our professional staff would be happy to provide you with a quote and find a schedule that meets your needs. Request a quote or call us at 503-883-6300. Preserving the values of your assets is a big deal in the age where manufacturing cost of new equipment is higher than ever before. There are many ways to keep your equipment in demand when it comes to the market and thereby keeping the value as high as possible. Many operators choose refurbishing as a way to maintain a high curbside appeal for their customers while delaying the purchase of newer more expensive equipment. Refurbishing comes in many forms. Some operators change out interiors, replacing seat covers, cushions, headliners, sidewalls, dash fabric and flooring. Request a Quote Today! 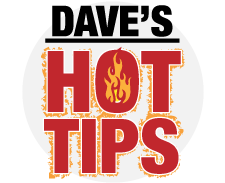 Read More on Dave’s Hot Tips Blog!